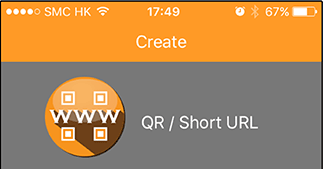 The terms of this agreement ("Terms of Service" or “Terms”) govern the relationship between you and qrcode-app.co regarding your use of eb-suite games and apps. Subject to your agreement and continuing compliance with these Terms of Service, eb-suite grants you a non-exclusive, non-transferable, revocable limited license to access and use the Service using a mobile device solely for your own non-commercial entertainment purposes. You agree not to use the Service for any other purpose. You understand that while at times you may “earn” "buy" or "purchase" (a) virtual currency, or (b) virtual in-game items (together with virtual currency, "Virtual Items"); these real world terms are only being used as shorthand. You do not in fact "own" the Virtual Items and the amounts of any Virtual Item do not refer to any credit balance of real currency or its equivalent. Rather, you may purchase a limited license to use the Service, including software programs that occasionally manifest themselves as these items. The purchase and sale of the limited license referred to in these Terms of Service is a completed transaction upon receipt of your direct payment or redemption of a eb-suite games and apps game card or a third party virtual currency like Facebook Credits. Any "virtual currency" balance shown in your Account does not constitute a real-world balance or reflect any stored value, but instead constitutes a measurement of the extent of your license. j.If you access the Service from an SNS you shall comply with its terms of service/use as well as these Terms of Service. Any use of the Service in violation of these License Limitations is strictly prohibited, can result in the immediate revocation of your limited license, and may subject you to liability for violations of law. ANY ATTEMPT BY YOU TO DISRUPT OR INTERFERE WITH THE SERVICE INCLUDING UNDERMINING OR MANIPULATING THE LEGITIMATE OPERATION OF PICTURETHIS IS A VIOLATION OF PICTURETHIS POLICY AND MAY BE A VIOLATION OF CRIMINAL AND CIVIL LAWS. c.upload or transmit or attempt to upload or transmit, without express permission of eb-suite, any material that acts as a passive or active information collection or transmission mechanism, including, without limitation, clear graphics interchange formats ("gifs"), 1x1 pixels, web bugs, cookies or other similar devices (sometimes referred to as "spyware," "passive collection mechanisms" or "pcms"). WITHOUT LIMITING ANY OTHER REMEDIES, PICTURETHIS MAY LIMIT, SUSPEND, TERMINATE, MODIFY, OR DELETE ACCOUNTS OR ACCESS TO THE SERVICE OR PORTIONS THEREOF IF YOU ARE, OR PICTURETHIS SUSPECTS THAT YOU ARE, FAILING TO COMPLY WITH ANY OF THESE TERMS OF SERVICE OR FOR ANY ACTUAL OR SUSPECTED ILLEGAL OR IMPROPER USE OF THE SERVICE, WITH OR WITHOUT NOTICE TO YOU. YOU CAN LOSE YOUR USER NAME AND PERSONA AS A RESULT OF ACCOUNT TERMINATION OR LIMITATION, AS WELL AS ANY BENEFITS, PRIVILEGES, EARNED ITEMS AND PURCHASED ITEMS ASSOCIATED WITH YOUR USE OF THE SERVICE, AND PICTURETHIS IS UNDER NO OBLIGATION TO COMPENSATE YOU FOR ANY SUCH LOSSES OR RESULTS. WITHOUT LIMITING OUR OTHER REMEDIES, WE MAY LIMIT, SUSPEND OR TERMINATE THE SERVICE AND USER ACCOUNTS OR PORTIONS THEREOF, PROHIBIT ACCESS TO OUR GAME, AND THEIR CONTENT, SERVICES AND TOOLS, DELAY OR REMOVE HOSTED CONTENT, AND TAKE TECHNICAL AND LEGAL STEPS TO PREVENT USERS FROM ACCESSING THE SERVICE IF WE BELIEVE THAT THEY ARE CREATING RISK OR POSSIBLE LEGAL LIABILITIES, INFRINGING THE INTELLECTUAL PROPERTY RIGHTS OF THIRD PARTIES, OR ACTING INCONSISTENTLY WITH THE LETTER OR SPIRIT OF OUR TERMS OR POLICIES. ADDITIONALLY, WE MAY, IN APPROPRIATE CIRCUMSTANCES AND AT OUR SOLE DISCRETION, SUSPEND OR TERMINATE ACCOUNTS OF USERS WHO MAY BE REPEAT INFRINGERS OF THIRD PARTY INTELLECTUAL PROPERTY RIGHTS. eb-suite reserves the right to stop offering and/or supporting the Service or the game or part of the Service at any time either permanently or temporarily, at which point your license to use the Service or a part thereof will be automatically terminated or suspended. In such event, eb-suite shall not be required to provide refunds, benefits or other compensation to users in connection with such discontinued elements of the Service. eb-suite may provide links on the Service to third party websites or vendors who may invite you to participate in a promotional offer in return for receiving an optional component of the Service and/or upgrades (such as in-game currency). Any charges or obligations you incur in your dealings with these third parties are your responsibility. eb-suite makes no representation or warranty regarding any content, goods and/or services provided by any third party even if linked to from our Service, and will not be liable for any claim relating to any third party content, goods and/or services. The linked sites are not under the control of eb-suite and may collect data or solicit personal information from you. eb-suite is not responsible for their content, business practices or privacy policies, or for the collection, use or disclosure of any information those sites may collect. Further, the inclusion of any link does not imply endorsement by eb-suite of these linked sites. It is eb-suite’ policy to respond to notices of alleged copyright infringement that comply with the Digital Millennium Copyright Act (“DMCA”). eb-suite reserves the right to terminate without notice any User's access to the Service if that User is determined by eb-suite, in its sole discretion, to be a "repeat infringer." In addition, eb-suite accommodates and does not interfere with standard technical measures used by copyright owners to protect their materials. You understand that the Service is an evolving one. eb-suite may require that you accept updates to the Service and to the game you have installed on your mobile device. You acknowledge and agree that eb-suite may update the Service with or without notifying you. You may need to update third party software from time to time in order to receive the Service and play any eb-suite games or apps. WITHOUT LIMITING THE FOREGOING, NEITHER PICTURETHIS NOR ITS AFFILIATES OR SUBSIDIARIES, OR ANY OF THEIR DIRECTORS, EMPLOYEES, AGENTS, ATTORNEYS, THIRD-PARTY CONTENT PROVIDERS, DISTRIBUTORS, LICENSEES OR LICENSORS (COLLECTIVELY, "PICTURETHIS PARTIES") WARRANT THAT THE SERVICE WILL BE UNINTERRUPTED OR ERROR-FREE. YOU ACKNOWLEDGE AND AGREE THAT, TO THE FULLEST EXTENT PERMITTED BY ANY APPLICABLE LAW, THE DISCLAIMERS OF LIABILITY CONTAINED HEREIN APPLY TO ANY AND ALL DAMAGES OR INJURY WHATSOEVER CAUSED BY OR RELATED TO USE OF, OR INABILITY TO USE, THE SERVICE UNDER ANY CAUSE OR ACTION WHATSOEVER OF ANY JURISDICTION, INCLUDING, WITHOUT LIMITATION, ACTIONS FOR BREACH OF WARRANTY, BREACH OF CONTRACT OR TORT (INCLUDING NEGLIGENCE) AND THAT THE PICTURETHIS PARTIES SHALL NOT BE LIABLE FOR ANY INDIRECT, INCIDENTAL, SPECIAL, EXEMPLARY OR CONSEQUENTIAL DAMAGES, INCLUDING FOR LOSS OF PROFITS, GOODWILL OR DATA, IN ANY WAY WHATSOEVER ARISING OUT OF THE USE OF, OR INABILITY TO USE, THE SERVICE. YOU FURTHER SPECIFICALLY ACKNOWLEDGE THAT THE PICTURETHIS PARTIES ARE NOT LIABLE, AND YOU AGREE NOT TO SEEK TO HOLD THE PICTURETHIS PARTIES LIABLE, FOR THE CONDUCT OF THIRD PARTIES, INCLUDING OTHER USERS OF THE SERVICE AND OPERATORS OF EXTERNAL SITES, AND THAT THE RISK OF THE SERVICE AND EXTERNAL SITES AND OF INJURY FROM THE FOREGOING RESTS ENTIRELY WITH YOU. TO THE EXTENT PERMISSIBLE UNDER APPLICABLE LAWS, UNDER NO CIRCUMSTANCES WILL THE PICTURETHIS PARTIES BE LIABLE TO YOU FOR MORE THAN THE AMOUNT YOU HAVE PAID PICTURETHIS IN THE ONE HUNDRED AND EIGHTY DAYS (180) DAYS IMMEDIATELY PRECEDING THE DATE ON WHICH YOU FIRST ASSERT ANY SUCH CLAIM. YOU ACKNOWLEDGE AND AGREE THAT IF YOU HAVE NOT PAID PICTURETHIS ANY AMOUNTS IN THE ONE HUNDRED AND EIGHTY DAYS (180) DAYS IMMEDIATELY PRECEDING THE DATE ON WHICH YOU FIRST ASSERT ANY SUCH CLAIM, YOUR SOLE AND EXCLUSIVE REMEDY FOR ANY DISPUTE WITH PICTURETHIS IS TO STOP USING THE SERVICE AND TO CANCEL YOUR ACCOUNT. SOME JURISDICTIONS DO NOT ALLOW THE EXCLUSION OF CERTAIN WARRANTIES OR THE LIMITATION OR EXCLUSION OF LIABILITY FOR CERTAIN TYPES OF DAMAGES. THEREFORE, SOME OF THE ABOVE LIMITATIONS IN THE SECTION MAY NOT APPLY TO YOU. IN PARTICULAR, NOTHING IN THESE TERMS SHALL AFFECT THE STATUTORY RIGHTS OF ANY CONSUMER OR EXCLUDE OR RESTRICT ANY LIABILITY FOR DEATH OR PERSONAL INJURY ARISING FROM ANY NEGLIGENCE OR FRAUD OF PICTURETHIS. You agree to indemnify, save, and hold eb-suite, its affiliated companies, contractors, employees, agents and its third-party suppliers, licensors, and partners harmless from any claims, losses, damages, liabilities, including legal fees and expenses, arising out of your use or misuse of the Service, any violation by you of these Terms of Service, or any breach of the representations, warranties, and covenants made by you herein. eb-suite reserves the right, at your expense, to assume the exclusive defense and control of any matter for which you are required to indemnify eb-suite, and you agree to cooperate with eb-suite’ defense of these claims. eb-suite will use reasonable efforts to notify you of any such claim, action, or proceeding upon becoming aware of it.